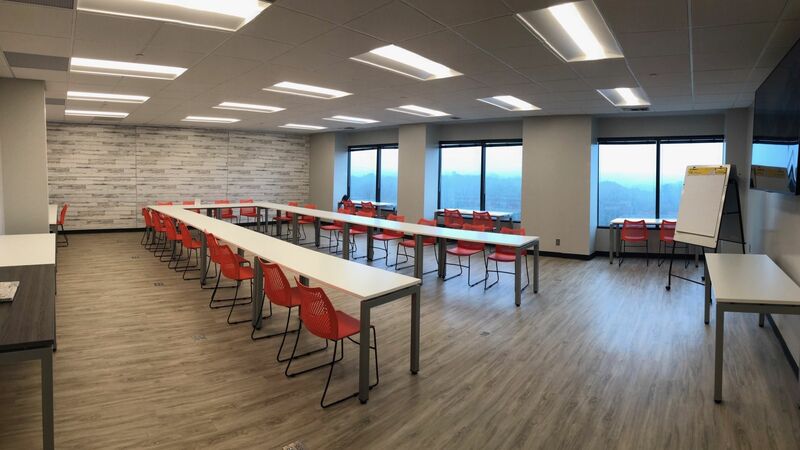 The 40 Person Buckhead Training Room is conveniently located across the street from Lenox Square Mall in Buckhead. Flexible layout for theater, banquet and classroom style meetings. This training room includes free high-speed Wi-Fi, whiteboard, complimentary tea/coffee/water, 75" HDTV with wireless & HDMI connectivity. *Catering available. Rent this training room now for your next meeting or training session! 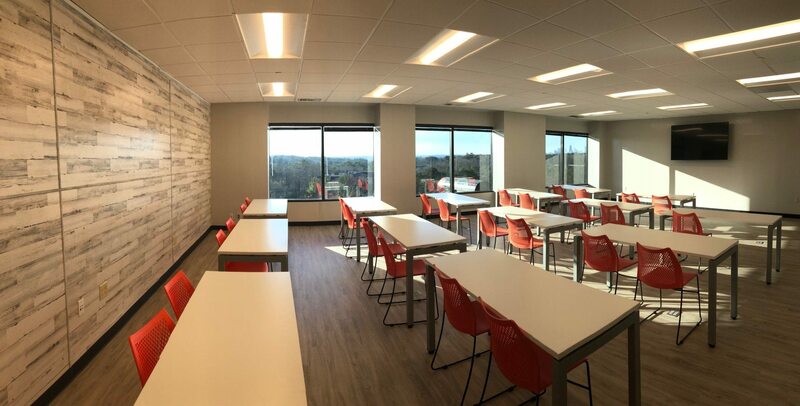 The 40 Person Buckhead Training Room in a U-Shape configuration. $400 for 1/2 Day | $725/8hrs.